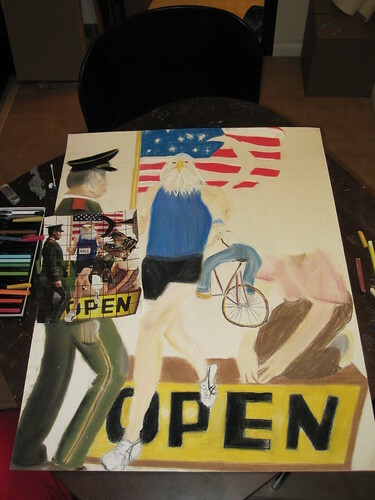 Well, I finished copying my collage. It was difficult, messy, but fun. I rushed the whole process, and most likely the finished product would have turned out better, still I’m happy with the end result. Here are some photos from the process and the finished piece. 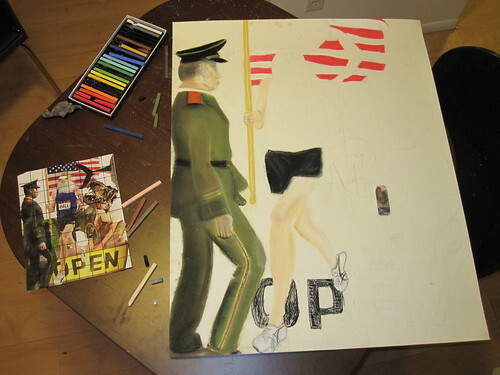 I spent the most time on the soldier, detailing the shading and what not. The chalk pastels were really messy and a real pain to work with in general. Under pressure they cracked and broke into pieces. Because I was rushed, I skipped a few details that didn’t take away from the overall feel. 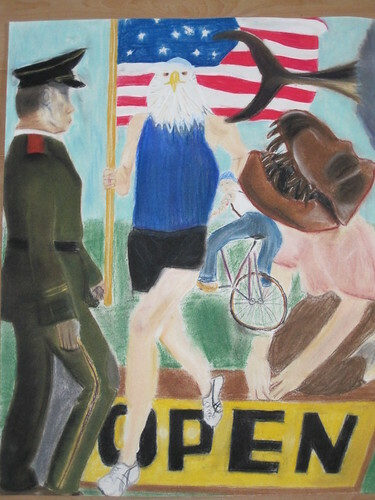 This entry was posted in art, Photography and tagged 24x30, art, drawing, eagle, north korea, open, pastels. Bookmark the permalink.